“I’m incredibly honored and flattered by this unexpected recognition from the RIFF,” says Stu Krieger. Stu Krieger is a professor of screen and television writing in the University of California Riverside’s Department of Theatre, Film & Digital Production and in the Creative Writing for the Performing Arts MFA Program at UCR. 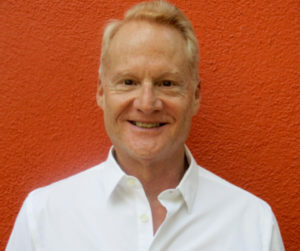 Each fall, he also teaches the Producing the Screenplay class at USC’s Peter Stark MFA Producing Program. He also wrote ten original movies for the Disney Channel, including Zenon: Girl of the 21st Century and its two sequels, Tru Confessions, Smart House, Phantom of the Megaplex, and Cow Belles. His first full-length play, Chasing Smoke, debuted in a staged reading at Garry Marshall’s Falcon Theatre in Burbank in July 2014. His short film script Bad Timing was produced by the UCR Department of Theatre, Film & Digital Production in March, 2016. He is an Executive Producer of The Binding, a 2016 feature film written and directed by his son, Gus Krieger and also served as an Executive Producer of My Name is Myeisha, Gus’s second feature film which Gus co-wrote with UCR TFDP Professor Rickerby Hinds. Myeisha was shot entirely on location in Riverside in October 2016. 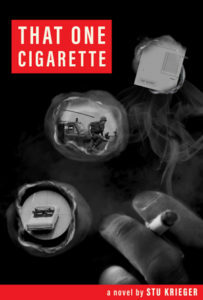 Stu Krieger’s first novel, That One Cigarette, a story of ordinary people making extraordinary ripples in the ocean of life, will be published by Harvard Square Editions in the fall of 2017.